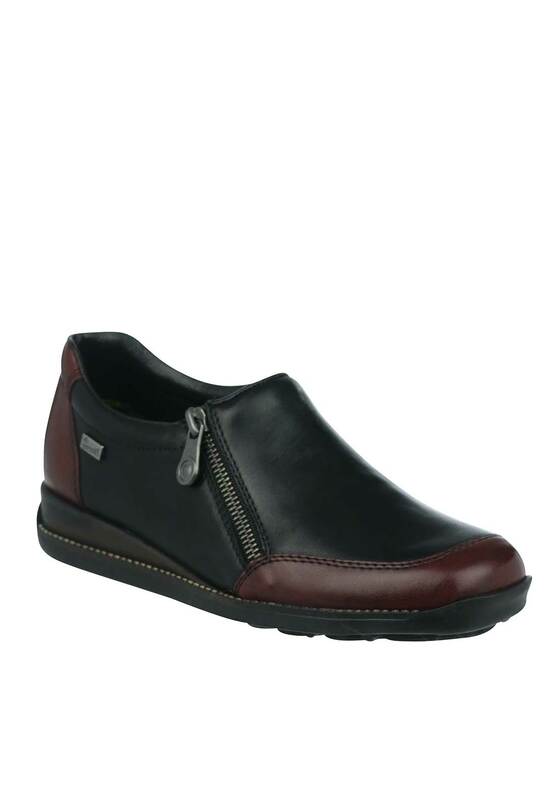 Comfortable stylish and the perfect go to pair, these leather slip on shoes from Rieker are lightweight with a zip fastening and elasticated gusset for a comfortable fit. Styled with a shock absorbing sole, they are lightweight with a roomy fit and will look great with jeans or trousers. Material: Upper- leather. Lining and Sock- Leather and Other Materials. Sole- Other Materials.